A terror attack was foiled outside of the Tomb of the Patriarchs in Hevron Tuesday afternoon, a day after a similar attack was carried out nearby. 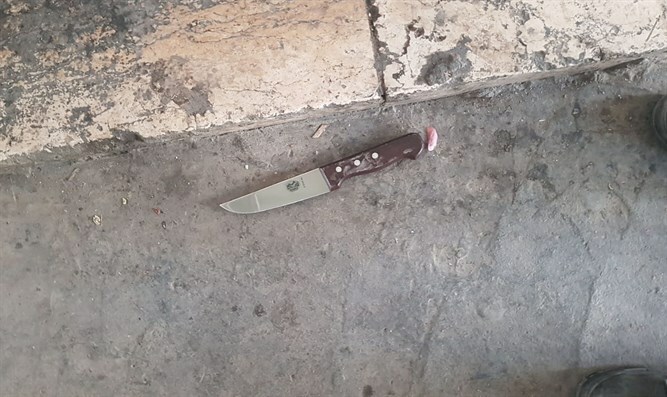 The terrorist, a 17-year-old Palestinian Authority resident, approached the entrance of the Tomb of the Patriarchs Tuesday, while carrying a knife concealed on his person. After the terrorist set off a metal detector at the entrance, Israeli Border Police officers stationed at the entrance ordered him to remove any items he was carrying in his pockets. When the metal detector was again set off despite the terrorist having emptied his pockets, Border Police officers instructed him to lift up his shirt, so that they could verify that he was not carrying a concealed weapon. But the terrorist refused the order, instead drawing the knife he had concealed and lunging at several Border Police officers. Officers on the scene pointed their weapons at the terrorist and were ultimately able to take him into custody without opening fire. “The officers managed to prevent an apparent attempt to sneak the knife into the Cave of the Patriarchs and carry out a stabbing attack,” a Border Police spokesperson said Tuesday afternoon. The terrorist was placed under arrest and transferred for interrogation. On Monday, an Arab terrorist stabbed an Israeli soldier in Hevron, between the Israeli neighborhood of Avraham Avinu and the Tomb of the Patriarchs. One soldier was lightly wounded in the attack, and was treated at the scene by emergency medical teams before being evacuated to the hospital for further treatment. The terrorist was shot and killed at the scene.